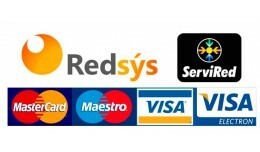 Ofrezca a sus clientes el pago con tarjeta con el módulo Redsys para opencart. Un módulo desarrollado conjuntamente con el servicio técnico de Redsys. Configure su TPV fácilmente desde su panel de administrador. VENTAJAS: Soporte e In.. This extension auto scroll you to the reviews tab when click in the reviews links. This is so userfull when you navigate on mobile devices because the Opencart 2.0 structure put the buy box at the bottom of page, then, when the user click the.. 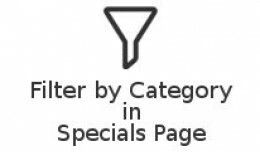 This Add Allow To filter by Category in the Specials Page. Just select the category and it only show the products with special price in this category. Languages: English Spanish If you need another language, please contact us when purch..
Filter by Category in Specials Page ** 30% OFF L.. 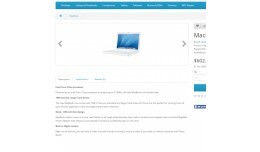 This module allow you to show all the the images of your product into a carousel. Vqmod is Required. 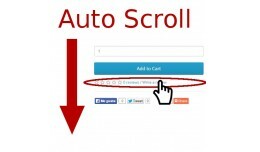 Compatible with touch screens Check a demo here: DEMO Please, if you find usefull this extension, show your love sharing and rating..
Additional Product Images Carousel for Opencart ..
What's Additional Images Anywhere? 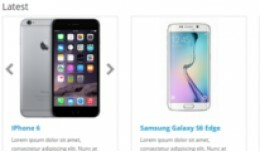 This add show the additionals images of product as a Carousel in all the product list: ** Category ** Manufacturer Page ** Special Offers Page ** Latest Module ** Special Module ** Featured Module ** Be..
Additional Images Product List, Modules and Anyw.. 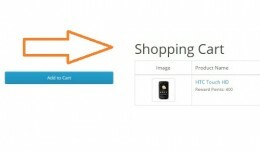 This mod redirect you to the shopping cart when a product has been added to it. VQMOD is required. Compatible only with the default template. 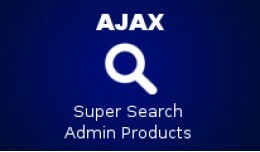 Check a demo here: DEMO Please, if you find usefull this extension, show your love sharing..
Add to Cart & Redirect to Cart for Opencart ..
What is Super Search Admin Products? It's the best filter for the admin > Product list for your shop. With this add you can make an instant search of products on the next fields: ** Product Name ** Description ** Category ** Manufacturer *..